The world changed in Bush Sr's presidency. The US President drove much of the change, while embodying American values. George HW Bush, the 41st POTUS (President of the United States) who died on Friday (November 30) will be remembered as a remarkable but less than adequately recognised American President, whose track record in public life will remain distinctive — and perhaps unparalleled. The last of the World War II veterans who occupied the White House (1989-1993), he was a decorated naval pilot and recipient of the Distinguished Flying Cross. 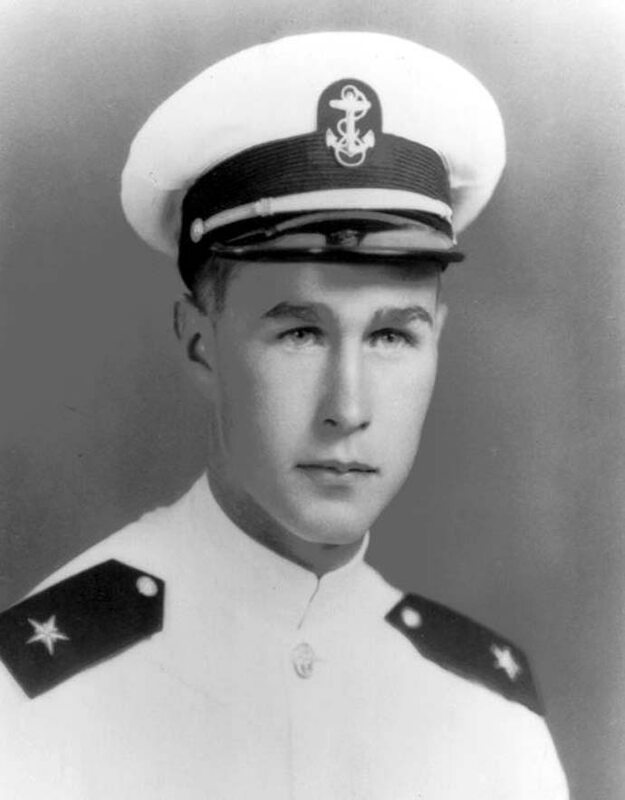 Son of a US Senator from Connecticut, the young George Bush was born to privilege and after the war, he moved from the east coast to Texas and became an oil executive, before joining the Republican Party and being elected to the US House of representatives in 1966. This was the beginning of a long innings in public life which included a stint as the US Ambassador to the UN (1971–73); Chairman of the Republican National Committee (1973–74); US Liaison officer to China being the equivalent of Ambassador (1974-75); Director CIA (1976-77); and Vice President (1981–89) before becoming a one-term President in January 1989. 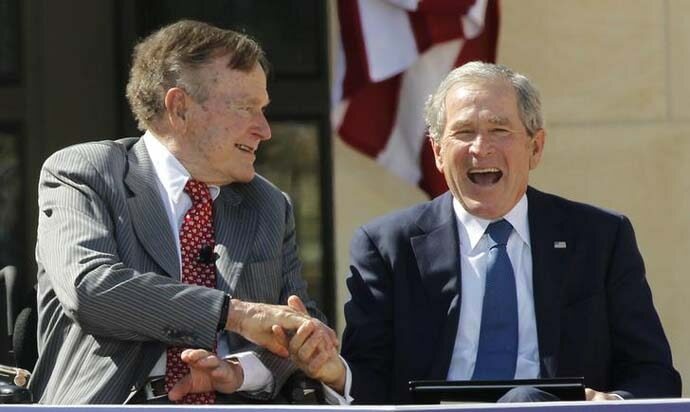 The distinctive features of Bush include the fact that he follows in the tradition of two ‘firsts’ in US electoral history after almost 150 years. He is listed as the second sitting VP to win an election and become President, and the second President whose son George Bush followed him in the White House. No other American politician has both these accomplishments to his credit — and this is unlikely to be matched in the near future. US Presidents are often assessed for their track record on two levels — the domestic and the international. Bush had an incredible foreign policy score-card — but a less than satisfactory domestic profile which led to his being a one-term President despite his impressive contribution at the global level. 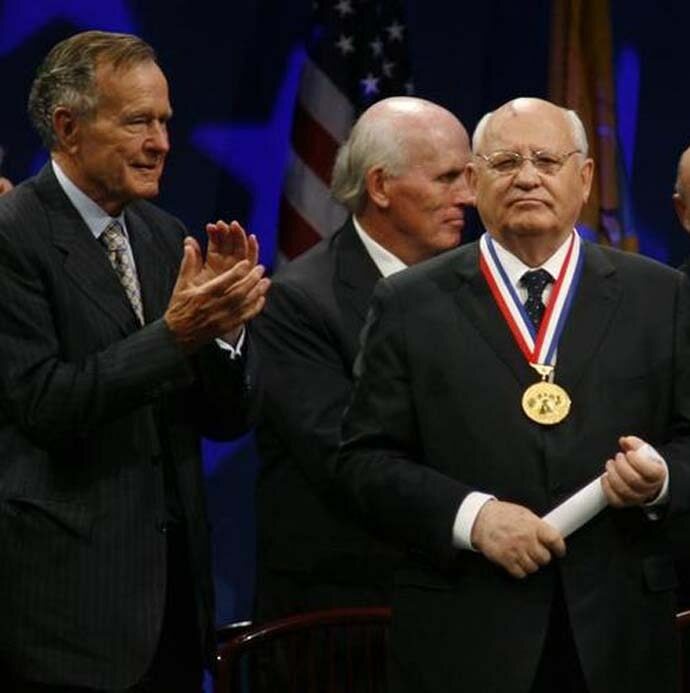 Bush had the distinction of being at the helm of US affairs when the Cold War ended in December 1991, and his cautious handling of relations with the former USSR during the tumultuous Gorbachev years, will to my mind, be the single-most important achievement of his political career. Earlier, Bush had to deal with the invasion of Kuwait by then-Iraqi President Saddam Husain in August 1990. At the time, bi-polarity and the Cold War were still in place. To his credit, President Bush was able to stitch together near unanimous global support and launch Operation Desert Storm in January 1991 that turned out to be a significant punctuation for the USA in military terms. It may be recalled that during the 1970s and '80s, the USA was reeling from the discord and bloodshed that the Vietnam war had generated and there was a cynical, jaded domestic mood about the US military. 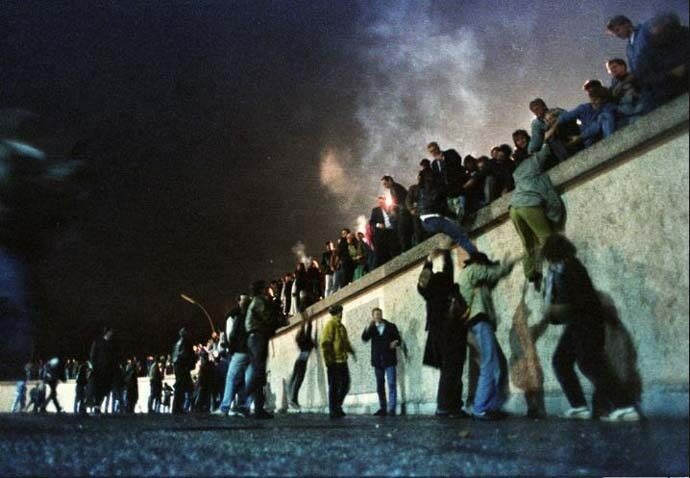 The US hostage crisis in Iran during the Carter years only added to this despondency. The swift US military victory in the desert and the ‘turkey-shoot’ of retreating Iraqi troops demonstrated the technological edge that would become the critical determinant in future wars. Predictably, a cautious Bush stayed within the objective of Desert Storm — the liberation of Kuwait — and despite calls for a more ambitious war-termination objective, did not seek to topple the Saddam regime. This was a task that his more impulsive son set for himself in 2003 — and it is understood that while the senior Bush never discussed this matter in public, he is reported to have been unhappy with the Bush-Cheney-Rumsfeld fecklessness in shifting focus from Afghanistan to Iraq in the aftermath of 9/11. Yet another feather in Bush Sr's cap was his handling of the fall of the Berlin Wall in late 1989 and the subsequent unification of Germany. At the time, both France and the UK were not very enamored with the idea of a united Germany and it took a fair amount of persuasion that the US President was well-known for to bring all parties to the same page. Bush Sr and Southern Asia is instructive, given the many hats that he wore and his related engagement with the Indian sub-continent and China. In retrospect, it may be averred that the senior Bush was not particularly enthused with India during his watch — very few US policy-makers were during the Cold war decades, for Delhi was perceived to be in the Moscow camp. It is a historical anomaly that his son was the architect of the transmutation of the US-India relationship, from one of deep estrangement to that of cautious engagement in the 2005 – 08 period. The lowest of low-points in India-US relations (and there were many) during the Cold War include the 1971 war for Bangladesh and the 1974 peaceful nuclear explosion under the stewardship of PM Indira Gandhi. It merits recall that Bush was the US ambassador to the UN in 1971 and had a ringside view of the deep animosity/dislike, bordering on hatred, that Nixon had for Indira Gandhi. This would have influenced his views about India. The stint in China as the US ambassador equivalent and the period spent as the head of the CIA (1976-77) would have given Bush a deeper comprehension of the seamy side of US foreign policy and the manner in which US security interests were being pursued. The current Trump embrace of Saudi Arabia and similar prioritisation of American strategic interest over normative principle has much deeper roots in US foreign policy — and Bush was privy clearly to much that never came into the public domain. China and George HW Bush was a very significant linkage. 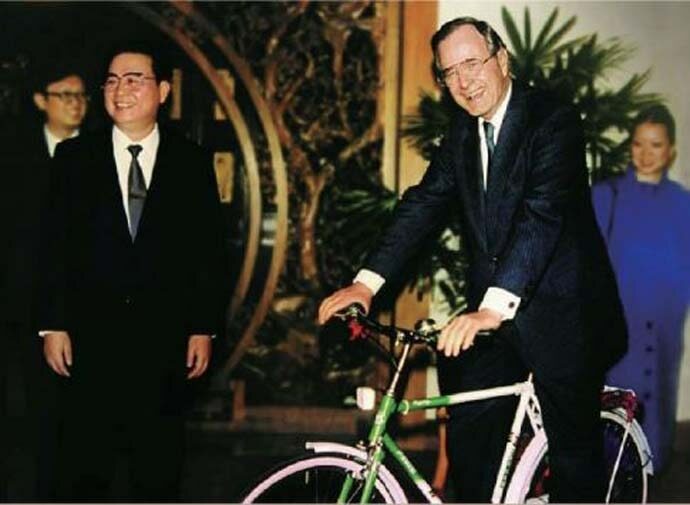 As the ambassador equivalent when the Sino-US thaw was taking place on the Nixon watch, Bush and his wife Barbara were familiar figures on their bicycles in Beijing. Thus, his understanding of China was greater than that of his advisers when the 1989 Tiananmen massacre took place. Perhaps the most opaque, yet regionally significant strategic event that took place during the Bush tenure was the May 1990 nuclear crisis on the Indian sub-continent. The received wisdom is that the White House was alerted that Pakistan was preparing to move its nuclear assets to operational status to threaten India and that President Bush sent his special emissary — Robert Gates — to defuse the situation. India was going through an uncertain political transition after Rajiv Gandhi and even to-date, this episode of nuclear brinkmanship is not adequately illuminated. What was Beijing’s role at the time — and how much did President Bush tacitly overlook of WMD transgressions? Reticent by nature and trained by his mother not to claim any personal credit for any achievement, George HW Bush was a US President who oversaw a tectonic global transition — the end of the Cold War — without a shot being fired. This, by itself, is an accomplishment that the history books will recall, even if other strands of Bush were not as luminous. Perhaps there will be more light shed by his biographers over the next few years and hopefully, the southern Asia part of the tenure of George Bush will become more transparent. Courteous to a fault, and adhering to a code of rare civility in his personal and professional conduct, the passing away of George HW Bush marks the end of a chapter in American public life in more ways than one. The writer is Director, Society for Policy Studies.